** FREE POSTAGE within Australia, postage overseas at cost -- Note: Postage will be added automatically when you place an order, but I will adjust the postage cost when the order is processed. 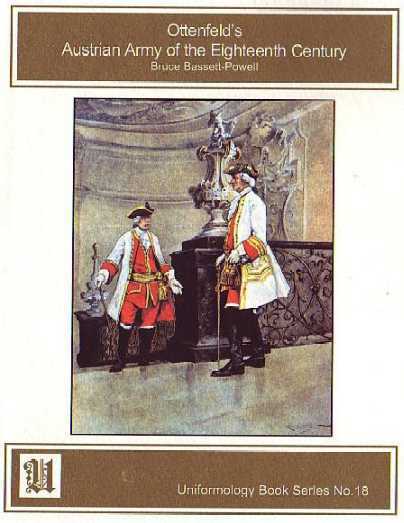 ** After the major difficulties in researching the more than fifty regiments of the Cavalry Legere or regular French cavalry of the Seven Years War we though the simple task of dealing with a mere sixteen regiments of dragoons would much easier. Well I can tell you that thought has proven false. 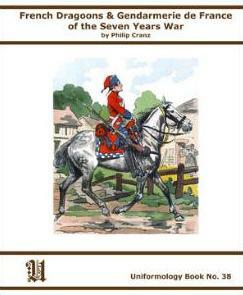 The dragoons were every bit as confusing and confounding as the regular cavalry. We have gleaned every French source we have found including royal decrees and the different books of the Etat Militaire from 1748, 1753, 1757, 1758, 1759, and 1761 along with the Essai Sur La Cavalerie published in 1756 along with more modern sources like Pajol and Lienhart and Humbert. The result are comparisons and contrasts for all these sources for you our reader to make the decisions for himself or herself. We have also presented beautiful full color schematic illustrations of each regiment along with beautiful renditions of the famous dragoon cap for each regiment. In addition to the dragoons we have included the sixteen companies of the Gendarmes de France. They ranked between the troops of the King or the Maison du Roi and the regular cavalry. These companies were all formed together in squadrons and served under their own commander as a regiment of cavalry. They were made up of richly attired nobles who went on campaign with a full baggage train and accompanied by their personal servants like knights of old. Their exploits were quite famous during the early part of the 18th Century. 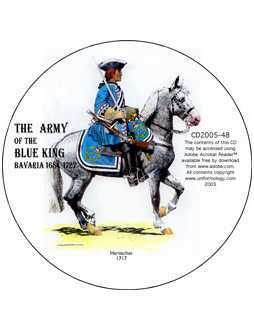 During the Seven Years War they were in line alongside the Royal Carabiniers at the battle of Minden. Despite heavy losses they fought bravely.Like all Uniformology publications you will find more color and more details than any other source. There is currently 1 of this item in stock. This item was added to our catalog on Friday 15 April, 2011.